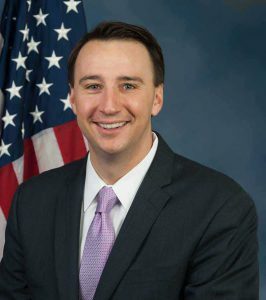 U.S. Rep. Ryan Costello (R-6). After a local Congressman took to social media over the weekend to allege that two individuals from his opponent’s campaign trespassed at his home, harassed his wife and took pictures — an account in complete variance with that of the individuals involved, it remains unclear exactly what, if anything, occurred on Jan. 13 in a normally quite West Goshen neighborhood. U.S. Rep. Ryan Costello took to Facebook Saturday evening to say his wife, Christine, a former top staffer for former state Sen. Majority Leader Dominic Pileggi, had been harassed by two individuals at their West Goshen home. Costello did not reply on Facebook to a reporter’s inquiry as to why he was sure it had to have been someone from Houlahan’s campaign — noting that he has a Republican primary opponent, Paul Linkmeyer, who has criticized Costello for failing to support President Donald Trump. Further investigation suggests that the two were from Planned Parenthood Action Fund — a detail confirmed by the organization this week. Linkmeyer, when contacted, said he and his campaign were not involved and condemned any such attacks on candidate families. Houlahan, too, condemned any such attack and said her campaign had nothing to do with it in a Facebook message Saturday night. Costello took that as an apology the next day — something Houlahan campaign officials stressed later that it was not, as again, they noted that they did not have anything to do with the incident. West Goshen Police were called to the scene. According to the official police report, two men, one white and one black were seen in a late model Ford compact car with New Jersey license plates parked in front of the house. According to the report, Christine Costello called her husband, after reportedly observing the two point at the house and then allegedly take pictures with an iPad. After talking to her husband, she walked down the driveway and one of the two men, the white man, approached her, asking to speak and saying something about Planned Parenthood, holding some papers. She declined and told the man not to come on to her driveway, which he did not, the report says. The car left, but the white individual continued his door to door canvass — a detail that matches with neighbor accounts, who say they had a Planned Parenthood person knock on their door. That also aligns with comments from comments from Ben Halle, the Press Secretary from Planned Parenthood Action Fund. PPAF said that no pictures were taken and dropping off one canvasser in an area, with a second driving off to an adjoining neighborhood is pretty common. Halle said that PPAF has not endorsed Houlahan and is not coordinating canvassing operations with any campaign. This past weekend’s canvass was a regional canvass in Congressional Districts 6, 7 & 8 to take issue with the recent tax bill approved by Congress. Halle did not identify the canvassers. Rep. Costello also contacted the Capital Police, which is authorized to investigate any incident involving a sitting member of Congress. Officer John Delegan of the Capitol Police contacted West Goshen Police and, according to the report, appear to be satisfied with the township police’s handling of the situation. Police traced the car to Enterprise Car Rental at Philadelphia International Airport. Enterprise declined to share rental information without a court order as of Jan. 15. Costello’s original post led to a number of angry exchanges — ranging from a well-known Chester County ultra conservative suggesting that all liberals suffered from mental illness, to what appeared to be a threat by a Republican Party Area Leader to visit another poster, possibly with menacing intent. That leader, Michael Arcuri, Sr., or Area 25 did later offer a public apology to the individual. Costello thinks someone doing door to door canvasing is harassment. He’s led a sheltered life. Sending thugs to harass Democratic voters on election day. My wife became a judge of elections because nobody else would deal with thugs harassing voters. Some voters would turn around if they saw Bob Saucier. I got between Bob and the voters he was calling names trying to keep the peace. I could talk to him. Harassment in Coatesville is blocking candidates driveway with large trucks on election day. Ernie Campos hiring people to “picket” me. 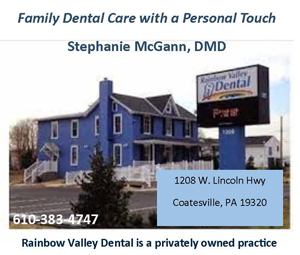 I was a City of Coatesville Planning Commissioner at the time. Later Ernie Campos’s boys picketed the Daily Local News Editor and publisher at their homes. Ernie’s thugs picketed a Spanish speaking family who had no clue who they were. Campos’ thugs thought they were at Robert Henson’s home. Later they went to WCOJ Radio in West Chester to picket “The Big Show” host Robert Henson. Campos was backing the infamous “Bloc of Four”. When I SHOUTED “ARE YOU THREATENING US” Harry Walker, Kurt Schenk and Patsy Ray stumbled over each other running out of the room. I filed a police report and called some prosecutors that I knew. The Planning Commission Meetings at that time were approximately two weeks apart. When I came into the next Planning Commission Meeting District Attorney Joe Carroll was seated at the table. I found out he arrived about an hour before the meeting started. He was still there after the meeting was over. I asked Joe why he was at the meeting. He told me that what Campos said was not quite enough to charge him with terroristic threats. But if he so much as came to the next Planning Commission Meeting he would charge Campos. How about loosening front wheel bearings on a Democratic Magisterial Court Candidate’s car? Ingrid Jones stopped the car before the wheels fell off. That’s what we call ‘political harassment’ in Coatesville.